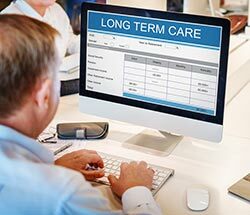 When you begin looking at long-term care insurance, you’ll begin to see many different policies, leading to confusion and sometimes frustration while you try to pick the best one for your needs. Every policy ranges in relation to benefits and price, which is one reason you should work with a professional elder care attorney to plan for long-term care. These professionals can help reduce your options to a select few that fit your budget and your concerns. Some insurance policies have “hidden” terms and agreements that may reduce your coverage, thereby leading you to think you’ll be taken care of in your old age. The fact of the matter is insurance companies are in business not only to help cover costs associated with long-term care, but also to make money. You must be diligent in the process of choosing a long-term care insurance provider because, after all, you’re entrusting these policies with your care and wellbeing. When looking at policies, be persistent and be aware. Read the fine print, ask questions, and seek help. Insurance planners, elder care attorneys, and other reputable professionals experienced dealing with long-term care insurance can help guide you through the often-confusing world of insurance. These professionals can also help you secure a plan in place that fits your budget and provides you protection in the possible event you enter long-term care. Are you planning on applying for long-term care insurance but don’t know where to start? We’ve got you covered. At The Elder Law Firm PC, we understand that insurance can be confusing. We’re here to discuss your options and help you in the planning and application process. We also provide information about Medicaid and Medicare in addition to long-term care insurance advice. If you have a question regarding any of your long-term care insurance options, please give us a call at (877) 933-7252. 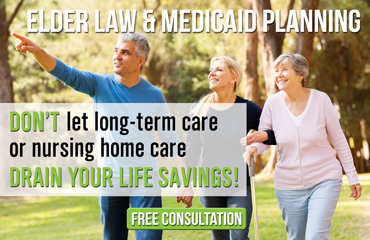 Residents in the Grand Rapids area can also attend a free seminar led by attorney The Elder Law Firm PC several times a month regarding long-term care insurance and Medicaid planning. Call today to learn more about this event and to reserve your spot.